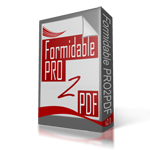 I’m new to Formidable Forms and your plugin and was hoping to clarify something before purchasing the Pro version as I will need signatures on forms (using the FF add-on). 1. I think the answer is ‘yes’ but can you confirm that it is fairly simple to output multiple PDF documents from a single form using your plugin. 2. If the answer is ‘yes’, can the number of PDFs be dynamic in any way. This isn’t crucial but would be nice if possible. If I explain. If I build a form that has multiple entries with the first (‘A’) being required. The user may enter just ‘A’ in which case I would need a single PDF form output. If the user had multiple items, eg. ‘B’ and ‘C’ It would be great if your plugin would output three PDFs. Is this possible in any way? If not, I guess I could set up the maximum number (eg. 12) PDFs with some of these left with empty fields if these entries were not entered. 1. Yes, the plugin was specifically designed to “output multiple PDF documents from a single form”. 2. Yes, shortcodes may be generated using Formidable’s conditional statement shortcode(s) and email attachments may be controlled with Email Notification Conditional Logic.